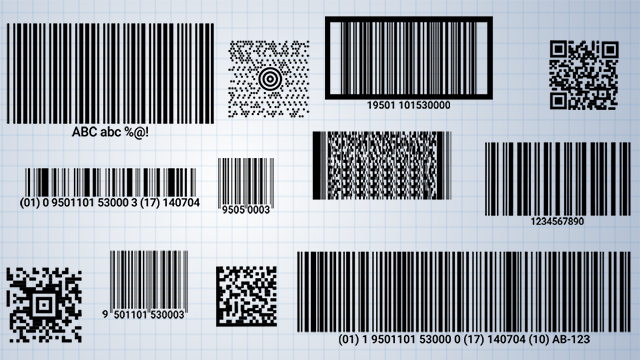 Barcodes use bars or cells and blank spaces to encode numbers, letters, and special characters. Because they are cost effective and relatively easy to implement, barcodes are used in many different settings - in stores to track inventory and facilitate checkout, at hospitals to track medications and patient information, at companies for asset management, and in marketing to direct people to websites. 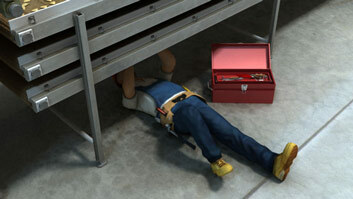 There are many different standards, or symbologies, each with advantages and disadvantages. How does a barcode reader differentiate between a random group of lines and an actual barcode? 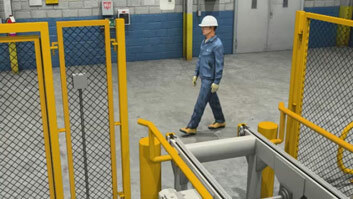 Barcodes typically have a blank space or "quiet zone" around them, and they often have guard patterns to tell the barcode reader where the code starts and stops. What kind of information does a linear barcode contain? 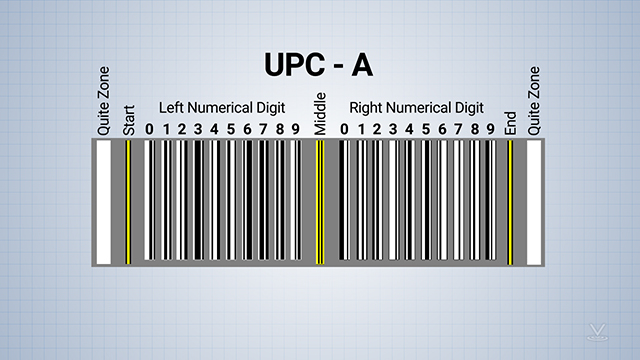 One type, a UPC-A barcode, contains 12 numbers. The first number defines the product type, the next 5 numbers identify the manufacturer, the next five identify the product, and the last number is a "check digit" used to verify the barcode was read correctly. It seems that 2D barcodes are everywhere. Why is that? 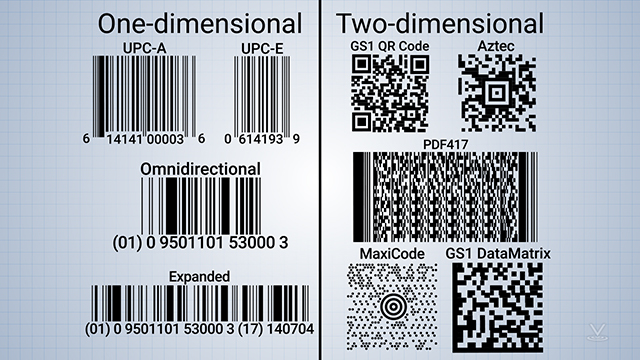 2D barcodes can code information horizontally and vertically, so they can contain a lot more information. What technologies are used to read barcodes? 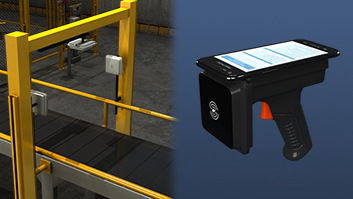 Laser scanners are most commonly used for linear barcodes. 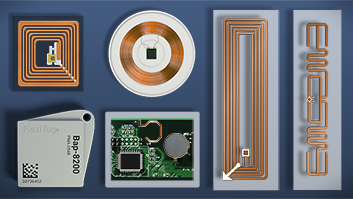 Imaging barcode readers work like a camera and can be used to read linear and 2D barcodes, in any orientation. These 2D codes can contain a lot of information so don't need to reference a database. Thus, they can provide a QR, or "quick response," such as directing a reader to a website. Every barcode has a "quiet zone," which is a blank space around the barcode to ensure it is read correctly. 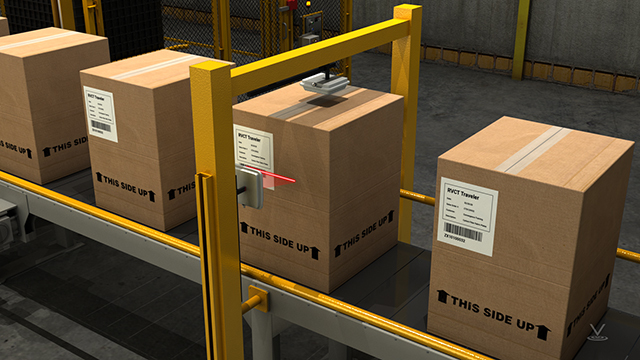 Some barcodes use guard patterns to tell the barcode reader where the code starts and stops. For example, UPC codes start and end with a bar-space-bar pattern. Between the guard patterns is the actual coded pattern. Each character is represented by a different combination of bars and spaces.